Put the power of personalization in your hands. 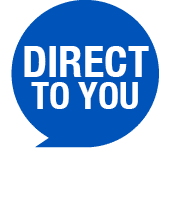 Our marketing and distribution portal offers a customizable solution for your multiple locations (no matter where they are). Quality and Service to LOVE! Kansas City’s top brands trust MEDiAHEAD for their marketing and distribution portal needs. Truly best-in-class, we deliver superior results through expert craftsmanship, advanced technology and sustainable practices. If it doesn‘t work, it’s not a solution. 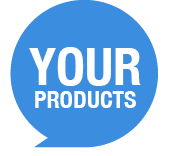 Just ask any of our well known clients how they love their custom Marketing & Distribution portal. Just for them. Just in time. Works everytime. By leveraging the marketing portal, you can personalize your brand conversation. Learn more. 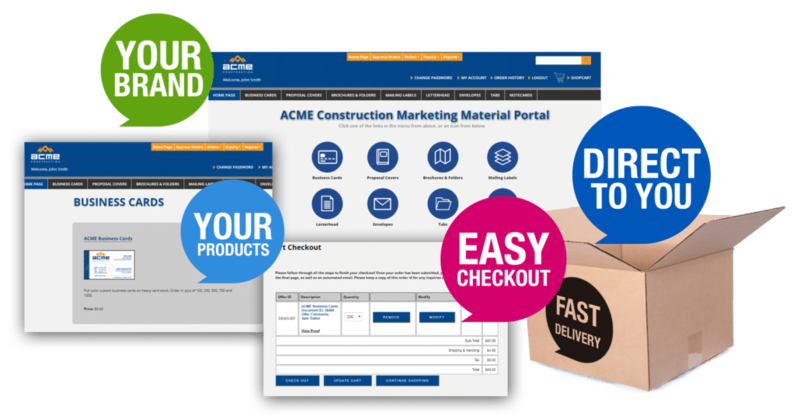 Your portal can be used as a central point of access to sales materials, templates and merchandise. Learn more. Add items, delete items or send to a different location. 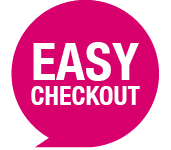 All the bells and whistles you want in a checkout. Learn more. Most of our products ship between 24-48 hours after the proof is approved. That’s fast, direct and easy. Learn more.  PURLs: Why the MEDiaHEAD booth was the most well attended at our industry trade show. Window Clings… What are those things? MEDiAHEAD has a new Warrior… LeRay Warrior! Why use multiple resources when you can integrate all your needs into one marketing and distribution portal? Digital printing is printing from a digital image directly to a wide array of media. 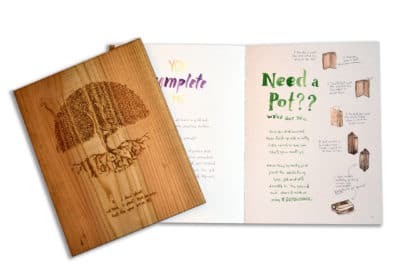 In other words, digital printing allows for on-demand print jobs, short turn times, and even customization of elements such as variable data. 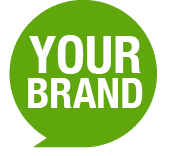 Sign up to receive our blog and learn how to we make Brand Consistency EASY. Our web portal is very intuitive and easy to use. It meets our needs and has features that are really important for a large corporation. Our previous portal could not handle inventory management, accounting, or quality control, which are major factors for us. It also could not allocate cost out to the field, so our corporate office had to pay for all collateral. With MEDiAHEAD, all costs can be allocated to the sales offices for them to pay for each collateral item. MEDiAHEAD can allocate based off of sales ID, cost center codes, or whatever the client wants. We love the fast shipping, and that we get emails when we place order, and when the order has shipped. Our MEDiAHEAD portal is great and easy to use. We have 3,500 people who use the portal, and any of them can log in to use it. We know the difference between good and bad! You have been a strong partner with us for 25 years now. At one time, we were working with about 200 different vendors. We sent out RFPs and began working with another web portal supplier — it flopped! We turned to MEDiAHEAD — you have the quality and the logistics we need, and meet all of our standards. That was what our previous vendor was lacking. We wouldn’t change a thing! We love that MEDiAHEAD is big but not too big, and we get personalized service every time we call. Your print quality is great and is one of the main reasons we partnered with you. Your customer service is very solution oriented, and you always want to help. The flexibility and ease of use of our portal is wonderful. We have 100+ users in 19+ locations, including Canada, and having a portal was our way to streamline the workflow. It makes our jobs so much easier and efficient. It saves us time and money. We are extremely happy with the print quality, and I would I give you 15 out of 10 on customer service! We wouldn’t change a thing. Our previous portal did not have the flexibility and functionality that yours does. The ease of use and back end functionality are great. I’m much happier I don’t have to deal with the calls from all of our locations, and can focus on my marketing work instead. MediaHead literally saved us with their customizable web platform and printing capabilities. We had an unsuccessful experience with another company and I wasn’t sure who could help create a site that actually worked the way we needed it to. After meeting with MediaHead, I instantly felt like not only were they an extension of our team, but also people I’ve known for years. They are a solutions oriented team who use their expertise to develop the right system or site for you. The turn around and pricing were great and the end product had our client (and us) very happy. Now I am confident in presenting this solution to our clients in the future, since I know I have a partner who can execute and deliver.